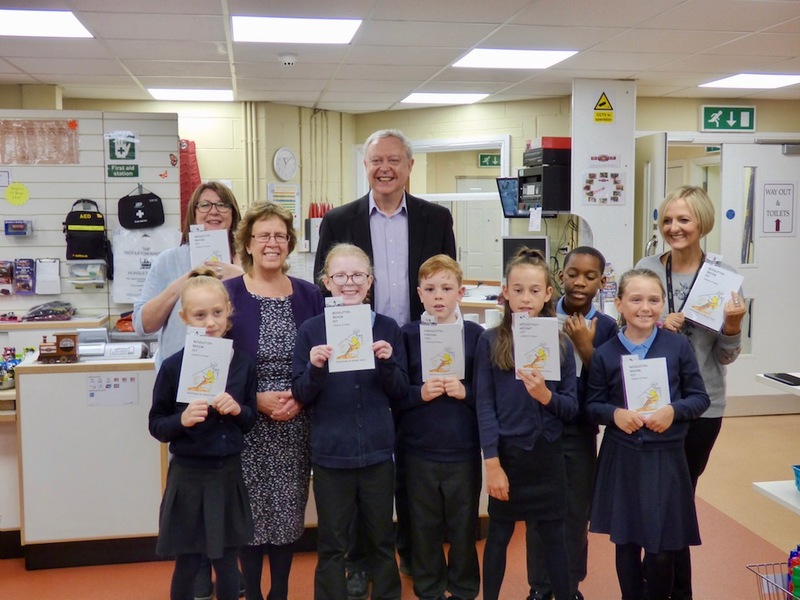 Pupils from Hunslet Carr and Windmill Primary Schools helped Middleton railway launch its new booklet about Middleton Broom Pit today (14 September 2018). 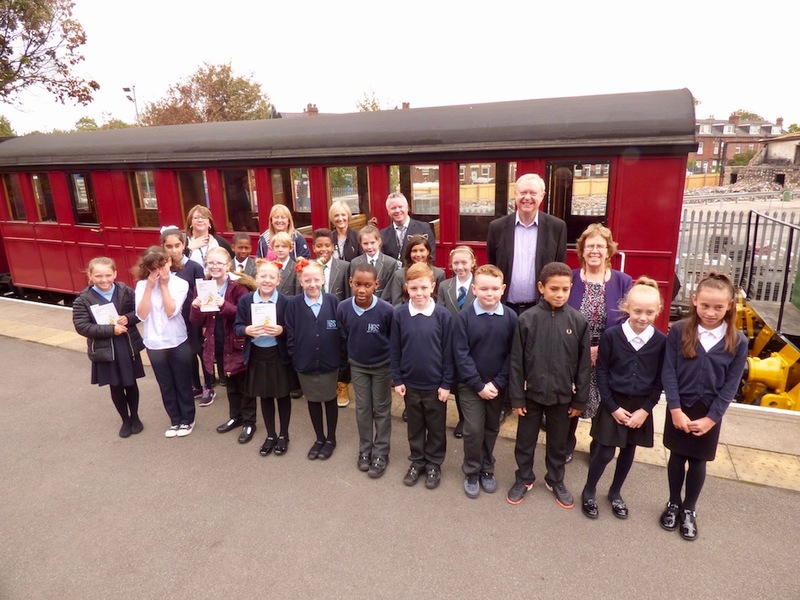 The children heard from the railway’s Vice President Ian Smith and received their copies of the booklet from Cllr Judith Blake and Cllr Paul Truswell. 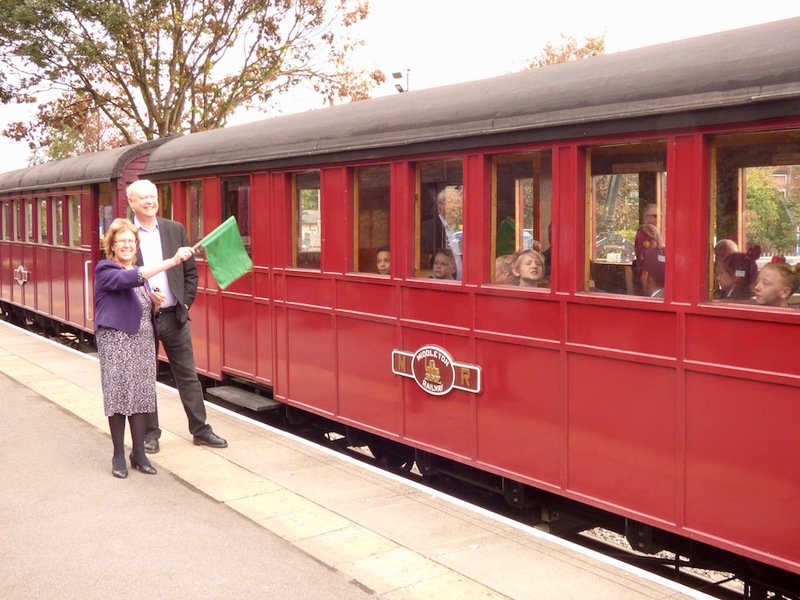 They then took a ride on the railway up to Park Halt in Middleton, waved off the Councillors. This year marks the fiftieth anniversary of the closure of South Leeds last coal mine – Middleton Broom Pit. It brought to an end a centuries long connection between the area and coal, a connection that helped create the world’s first railways. Middleton Railway is marking the anniversary with a Last Coals To Leeds event over the weekend of 29 & 30 September 2018. 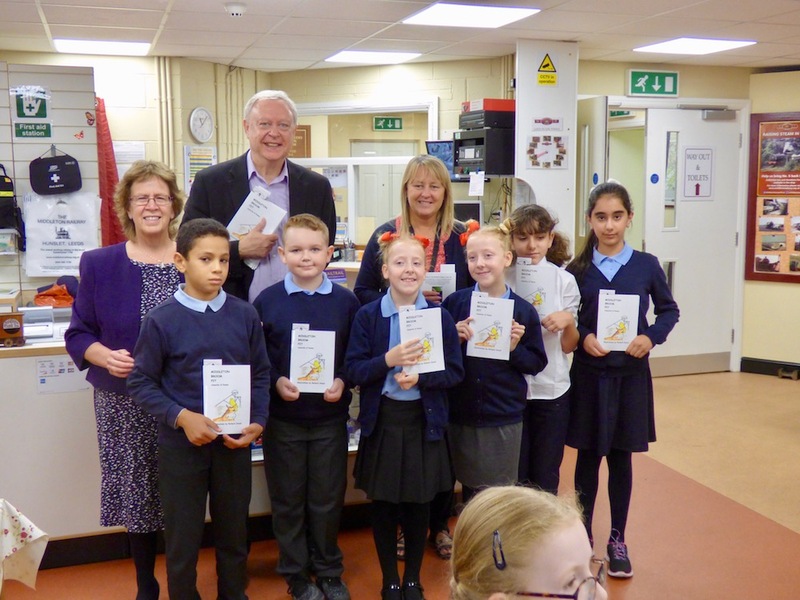 They are also keen to reach out to the next generation, so the booklet ‘Middleton Broom Pit: Canaries & Ponies’ is being given free to primary school children across Middleton Park ward and parts of Hunslet & Riverside ward. 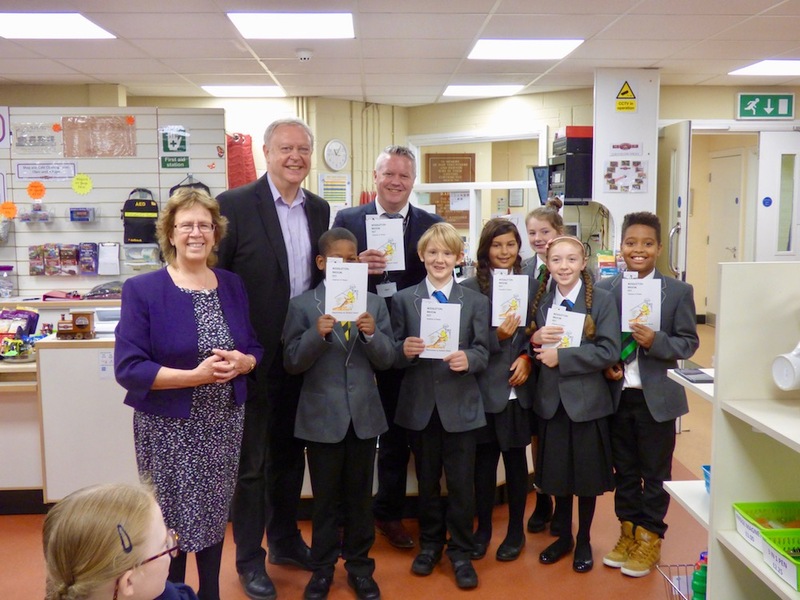 The booklet tells the story of coal and people of South Leeds who worked in the mines. These include five year old Tom, who tells the tale of the building of the new pit in 1879. 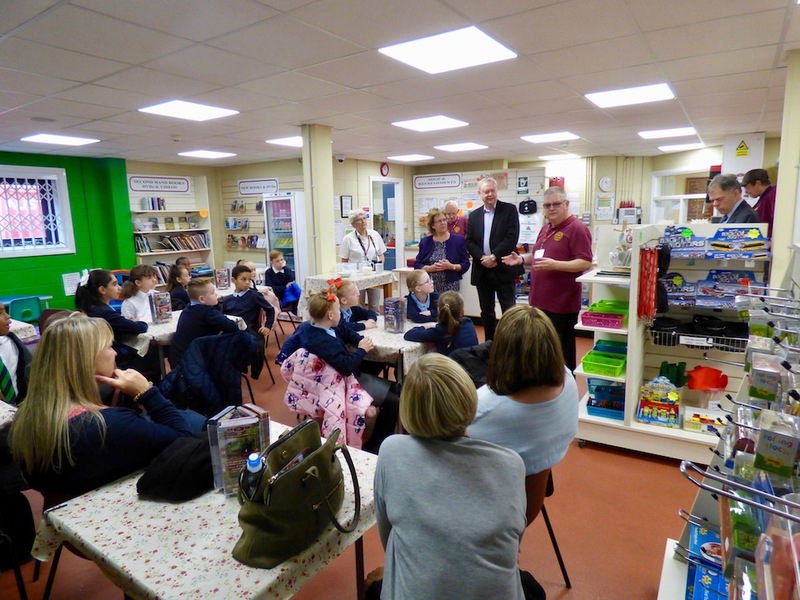 Walter talks about the First World War and afterwards, whilst John recalls life as a ‘Bevin Boy’ drafted down the mine instead of the forces during the Second World War. Dorothy completes the story remembering her childhood growing up in Middleton in the 1950s. Richard Stead’s drawings and the personal stories really help bring the history to life in this delightful booklet. 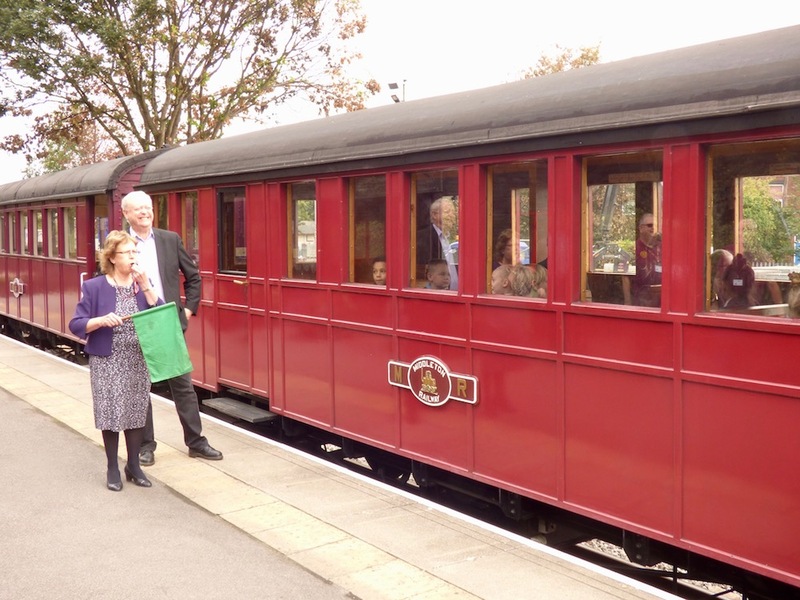 The booklet comes with a bookmark which entitles them to a free child ticket on the Middleton Railway. 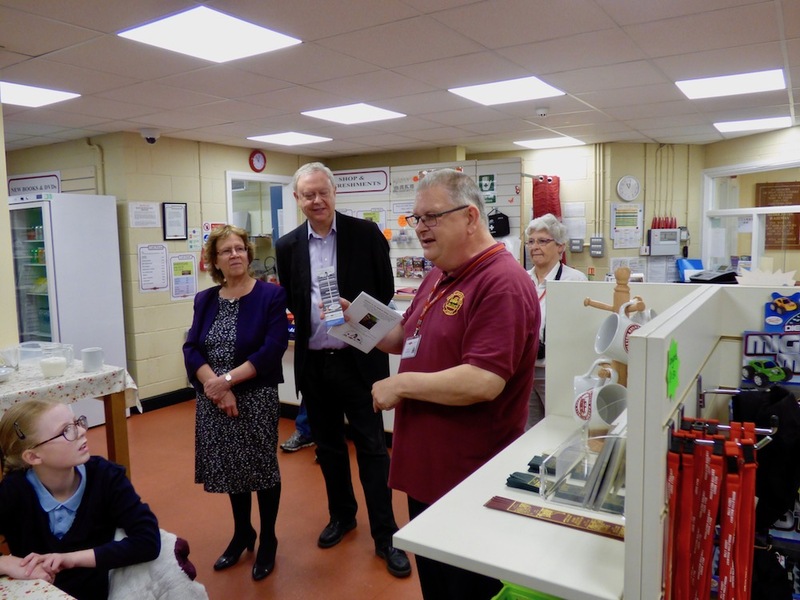 Last Coals To Leeds has been financially supported by the Inner South Community Committee as part of the Love Where You Live initiative. I was born and brought up in Middleton. My father George Wilson worked at Broom Colliery during two spells as Overman and Under Manager. I am hoping I can purchase three copies of the pamphlet Middleton Broom Pit for myself and family and for a friend of ours whose father was Manager of the pit for several years. If this is possible can you tell me how I go about obtaining the pamphlets.